The client was building a beautiful shore home and wrought Iron decor was desired to accentuate the architecture. But due to the harsh elements at the shore, we had to design everything in marine grade and aircraft grade aluminum. 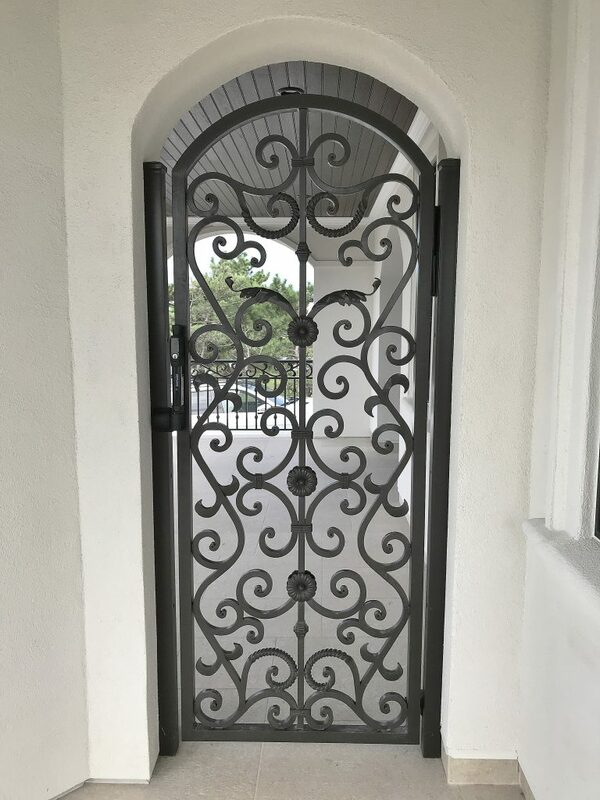 Powder-coated correctly, the wrought iron gate design was indistinguishable from Iron. This portion of the project entailed a complete, functioning pool gate, complete with self-closing and self-latching hardware. 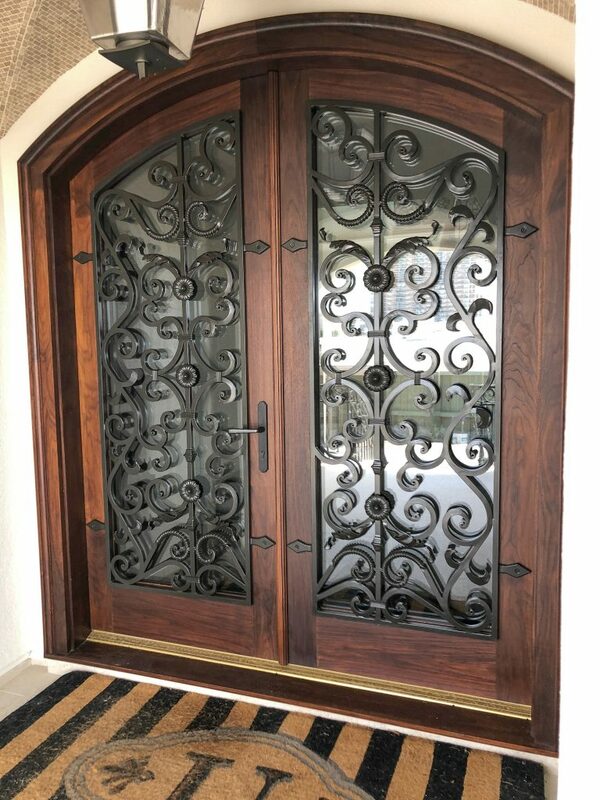 Plus, artistic forged iron grills on the double entry doors. We had the design elements tie into the balcony railing design, plus added design details, inspired by Samuel Yellins work. We added twisted scrolls, scored banding ornamental acanthus leaves and rosette’s to really have a visual wow factor. The builder and client were thrilled, it gave them similar design as terrace railing and pool fence, and powder-coat to CIW 2604-A specs, should be maintenance free and gives both parties great peace of mind for finish longevity.